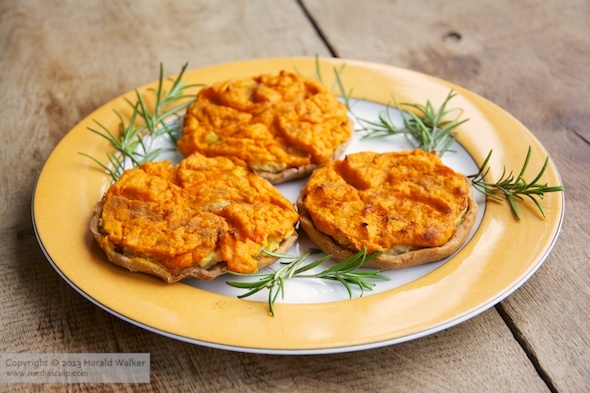 We’ve been wanting to make some Eastern-European recipes to enjoy while watching the Winter Olympics, and came across this recipe for Latvian Vegetable Tarts known as Sklandrausis. They’re very tasty, and we really liked the rye crust. 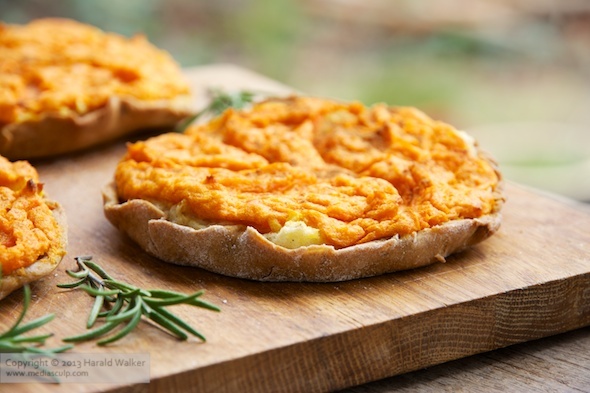 They have a layer of mashed potatoes topped with a sweet carrot puree. The recipe was easy to adapt to be vegan using coconut oil instead of lard, non-dairy milk, soy yogurt and egg replacements. These sklandrausis would be nice at a buffet, as finger food for a party or while watching the Olympics. Alternatively serve them as side dish to a main meal. Posted by Chris Walker on February 6, 2014 in Carrot, Potato, Reviews.